By LUDWIG VON KOOPA - What standards do mobile trash bootleggers get? 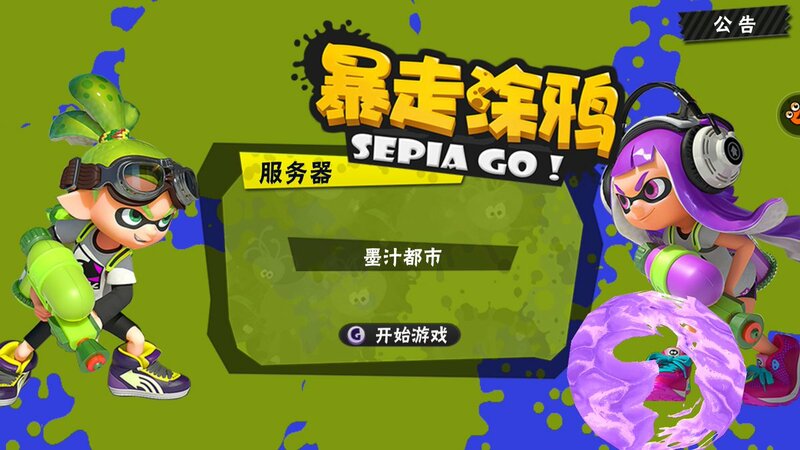 If you're already around social media or Splatoon places, then maybe today you've learned about a Chinese mobile trash game on Android called “Sepia Go!”, which doesn't deserve being italicised. It's a rip-off of Nintendo-developed Splatoon, from the maps to the characters to the music to the gameplay. According to Twitter user ZhugeEX, who made this game's existence apparent to the rest of the world, even gamers in China think it's not cool. The widely-distributed YouTube gameplay video of “Sepia Go!” was blocked by Nintendo on copyright grounds (they can control YouTube, but not China), and that's where some of this article's screenshots came from. Here is an alternative video you can watch, but I'd rather you use this time to read the rest of this article. It looks like a disgrace and a disaster to me. Hopefully, you agree. Of course this screen doesn't look bad. All you have to do is take the Splatoon font and Inklings and use them. It's no secret that China rips off intellectual property. The Chinese (from China, especially) are not creative people. They steal from others. All the time. And due to their total lack of caring about intellectual property, there's nothing we can do about them. They steal everything. Art. Games. Trade secrets. Brands. Hillary Clinton's classified e-mails as Secretary of State while she was using an insecure server. It runs throughout their culture, even to the kids. You ever had to work with people from China on a project? You can't do it. They don't make anything themselves. They plagiarise. Horrible. 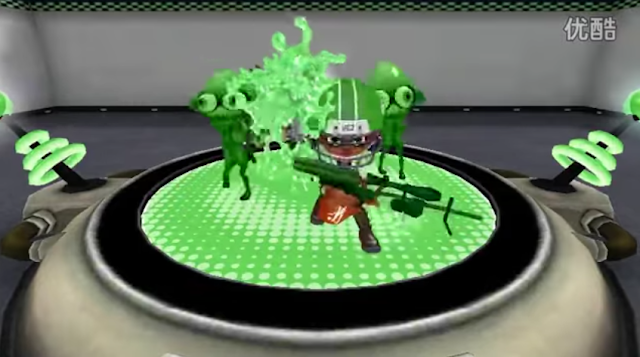 “Sepia Go!” is far from unique, and not in the sense that it's literally a degraded Splatoon. This Super Smash Bros. rip-off comes out in China tomorrow, according to ZhugeEX. It's just another day in China for them, while we sit here in a civilised country that respects intellectual property and are amused by the absurdity. It's so different to us. I'm used to expecting this from China, though. What I'm not used to are people actually being “impressed” by it. That Jason Ganos dude's headline from this place. 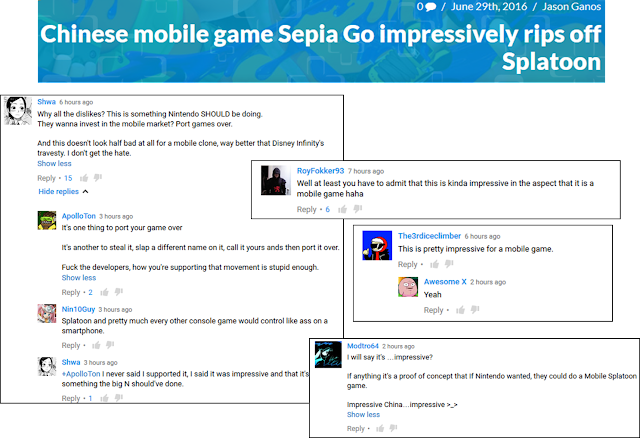 The other comments from the now-DMCA'd YouTube video of the “Sepia Go!” gameplay. What about “Sepia Go!” was impressive? Because it's a mobile game? If that is what is considered impressive by mobile standards, then Nintendo should absolutely not be anywhere near mobile gaming. That's terrible. Mobile gamers must be used to utter crap to find that impressive. Those commenters saying that Nintendo should be doing this kind of stuff for mobile except in an OFFICIAL capacity are totally wrong. If that was considered impressive, then they'd love KoopaTV's games like Trayvon Tyson's Punch-Out! !, Defend Anita Sarkeesian, and Capture the Confederate Flag. The first of those was such a good “rip-off” of Punch-Out!! that one of KoopaTV's ardent critics thought it was a ROM hack. I doubt he was trying to make a compliment, but that might've been one of the best compliments for Trayvon Tyson's Punch-Out!! that we've ever gotten. Let's end the article this way, just because I can: Which candidate for United States president best sides with the videogame industry, an industry that thrives on exploiting intellectual property? Donald Trump, the man who will have a zero-tolerance policy on China's abuses? Or Hillary Clinton, the woman who tried to destroy the industry within the United States of America, and has no position or plan on China and its intellectual property abuse? Ludwig still doesn't have a smartphone. He sees no future for smartphone gaming if awful-looking disgraces such as “Sepia Go!” are impressive, meaning they are on a higher-tier of quality than the average smartphone gaming product. He trusts that YouTube comments from people who are presumably much more experienced in the smartphone economy than he is are accurate. Nintendo already has Miitomo on mobile, and its audience is largely inactive. If Nintendo went strictly to mobile gaming, I would be disappointed. The quality just does not meet the same performance as on a home console. This game, if you can even call it one, furthers my point. I have no 'inkling' of a doubt that Splatoon would not be suitable as a smartphone game. In fact, I would go as far to say that Mighty Number 9 just might be a more fun experience. Well...maybe not. I think we can call it a game. It's just not impressive. Mighty No. 9 would make more sense on mobile. ...I think. At least it's only two dimensions. I can't wait for the waifu wars to brew out of Kallee and Muhree. At least they gave us a large window of time to pop out an article for it. Personally I got so disgusted with it that I cancelled my order for the Amiibo. You're the one who was the most enthusiastic about the amiibo! Not anymore. I'm just going to think about the horrible waifu fanbase with those around thanks to the upcoming Splatfest. I'll cherish the plushies though. I am a big plushie fan in general so them being adorable plushies somehow makes me forget about the disgusting fanbase. Also I am not submitting my plushies as pics for your upcoming Splatfest article. At least people aren't shipping them together for this Splatfest. No union! Just DIVISION! Don't you know hate is the most important part of shipping? At least the fangirls said so. Just ask the CloudXSephiroth shippers or how how the Pokemon daycare managed to have a Seviper and Zangoose mate. And what am I supposed to pose the plushies with? Well, clearly LOVE isn't the most important part of these shippings. ...In fact, it seems to be something that disqualifies being a shipping. I dunno. Sea snails? The game box? I want to wait for their news cast before I make a decision.